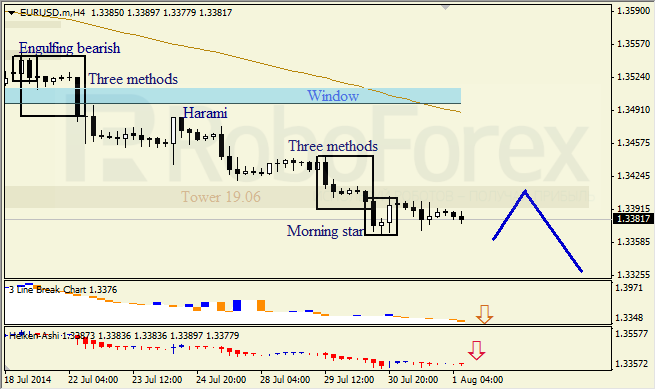 On H4 chart of EURUSD we can see descending trend, Morning star configuration indicates possibility of correctional move. Three-Line break and Heiken Ashi confirm bearish destination. At H4 chart of USDJPY, we can see sideways action, occurred after bearish Harami. 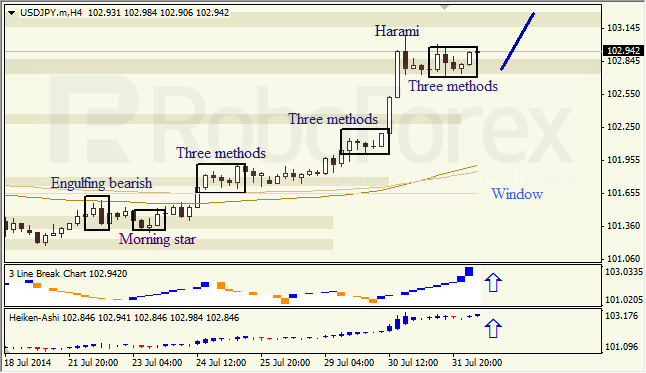 Three methods model, Three-Line break chart and Heiken Ashi candlesticks confirm bullish destination.